If you want to show your DV video in your iPad, how can you do? I will tell you a software which can transfer your DV AVCHD video directly to iPad and display them by the best iPad video format. My DV is Canon iVIS HF S11. The following is the details. Download the software, Xilisoft iPad Magic from here and install it. power on Canon iVIS HF S11 and and set the DV to video module. Connect Canon iVIS HF S11 to Computer and select the type of device for the USB connection is Computer/Printer. 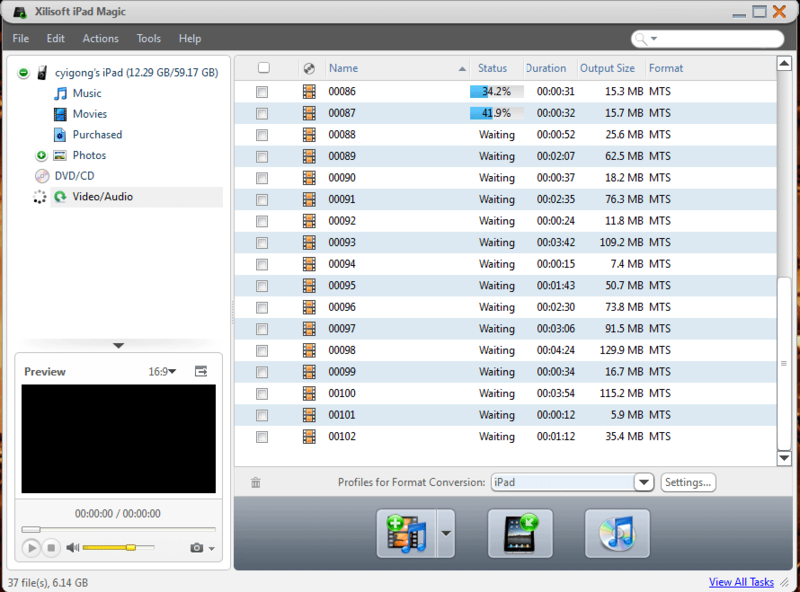 Run xilisoft iPad Magic, open the AVCHD video folder in canon disk, Example as Computer > CANON(M) > AVCHD > BDMV > STREAM. Drag the video files (*.mts) to iPad. Xilisoft iPad Magic will convert the *.MTS file to mp4 file that the iPad supported and transfer them to iPad. Whenever you hear the consensus of scientists agrees on something or other, reach for your wallet, because you’re being had…. If you would be a re7al seeker after truth, it is necessary that at least once in your life you doubt, as far as possible, all things….